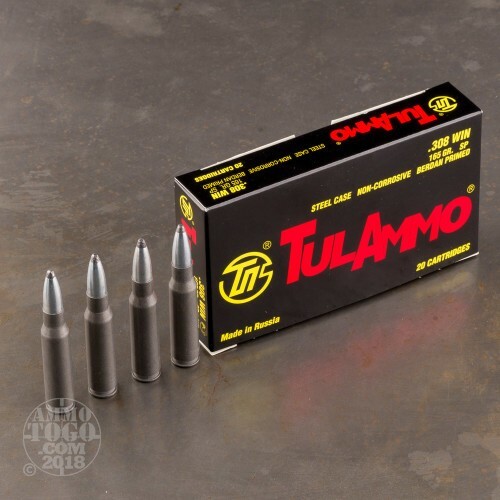 Whether you want cheap ammunition or just like buying from an old manufacturer, Tula Cartridge Works has you covered. 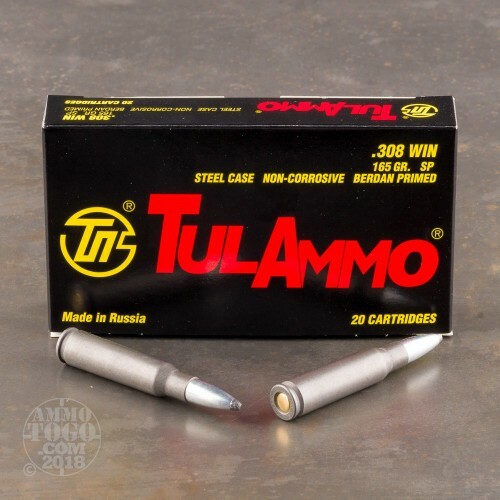 With over 300 years of business, this ancient business brings you some of the most popular Russian ammo. 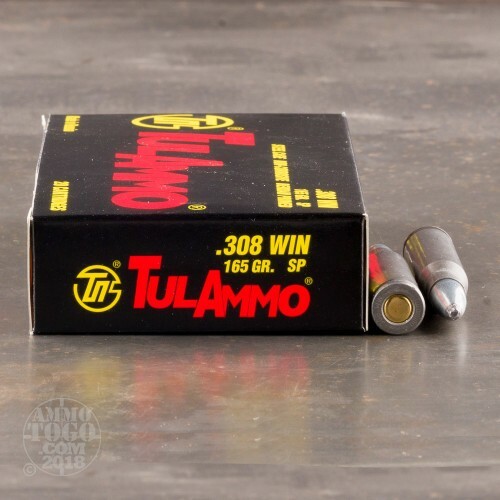 Less expensive than almost any other ammunition you will find, Tula is a fantastic buy. Non-corrosive and accurate, this ammo is better than many other Eastern European ammunition. The 308 is meant to reach out and touch targets, people, and animals, and these soft point rounds do just that. 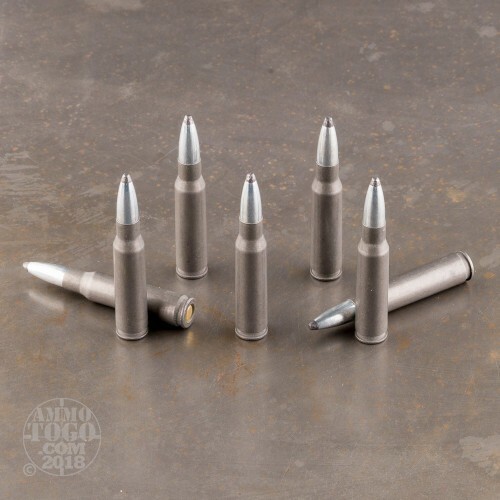 Perfect for deer hunting, range training, or self defense, these 165 grain rounds will help you with all your sporting and self protection needs. Berdan primed and steel cased, this ammo is not reloadable, but who cares at such a low price? Pick up some today!